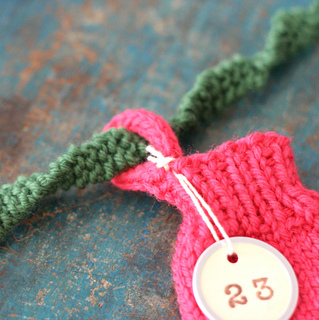 Happy Holidays, Knitters! Your present is a little early since there is some assembly required. 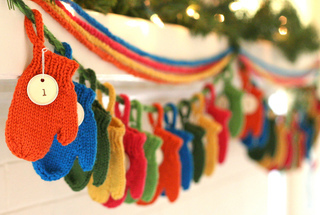 Knit up a mitten garland to count down the days to Christmas! 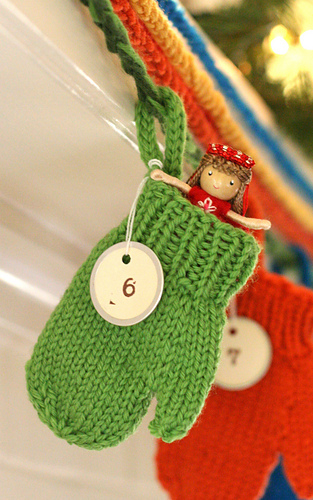 At 4.5 inches from fingertip to cuff, each mitten is just the right size to hold a small treat for each of the first 24 days of December. This pattern is now available as a Ravelry download. 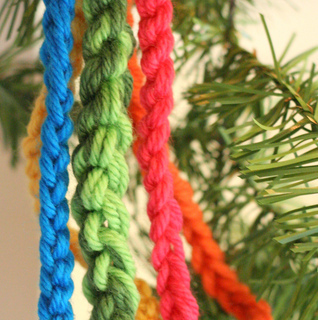 Please share your finished projects in the “Smitten (a Holiday Garland)” Flickr group. We’d love to see where the Smittens take you. If you have trouble with the download, pm me with your email address (and what you need) and I’ll email you the pdf.